Whenever I try to make an iron chicken (using a flint and a bone white one), it gives me a flint chicken instead of the iron one that I want. There are pictures included. Browse other questions tagged minecraft minecraft-feed-the-beast or ask your own question. Why are there flying pigs in my Minecraft? What crafting recipes are these? 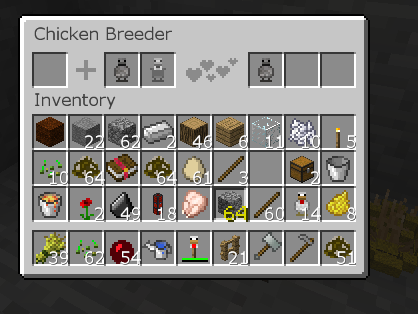 How to spawn a chicken that lays diamonds?